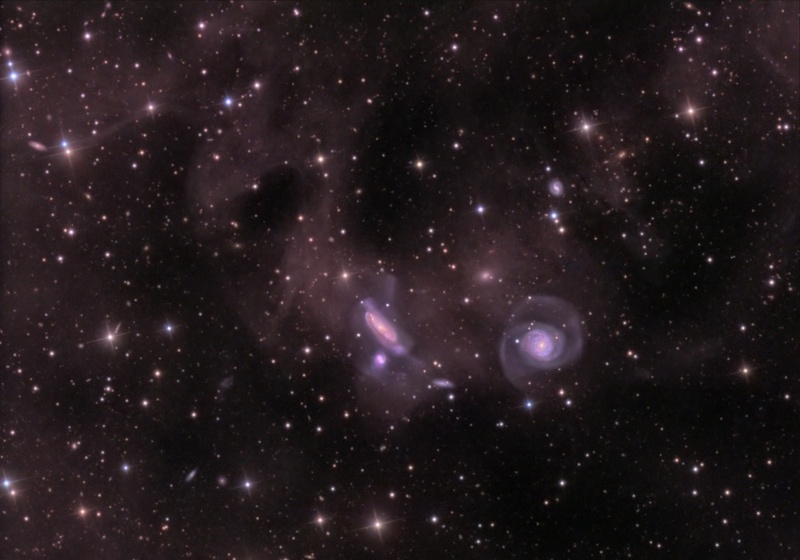 Explanation: Galaxies of the NGC 7771 Group are featured in this intriguing skyscape. Some 200 million light-years distant toward the constellation Pegasus, NGC 7771 is the large, edge-on spiral near center, about 75,000 light-years across, with two smaller galaxies just below it. 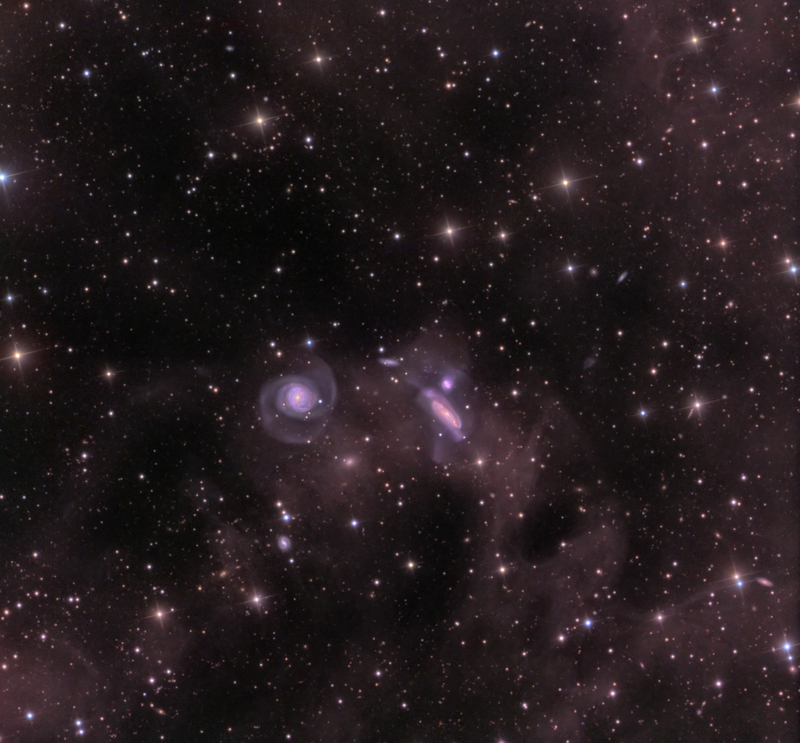 Large spiral NGC 7769 is seen face-on to the right. Galaxies of the NGC 7771 group are interacting, making repeated close passages that will ultimately result in galaxy-galaxy mergers on a cosmic timescale. The interactions can be traced by galaxy distortions and faint streams of stars created by gravitational tides. But a clear view of the galaxy group is difficult to come by, as the deep image also reveals extensive clouds of foreground dust sweeping across the field. The dim, dusty nebulae reflect starlight from our own Milky Way Galaxy and lie only a few hundred light-years above the galactic plane.